I am sending you, herewith enclosed, a good photo. 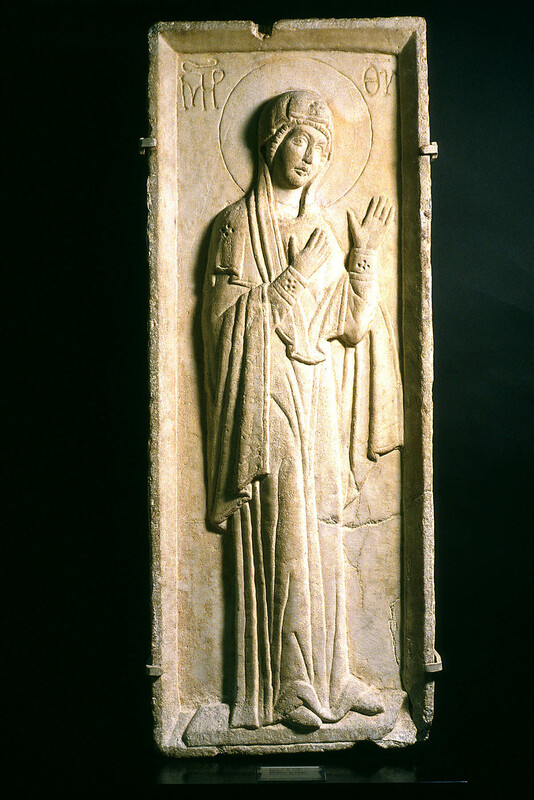 of Prince L’s very lovely, devastatingly pretty in fact, relief of the Virgin,BZ.1938.62. and also a photo. of the 2 saints ivory in Venice,John the Evangelist and Paul, ivory, Museo Archeologico, Venice. See Adolph Goldschmidt and Kurt Weitzmann, Die byzantinischen Elfenbeinskulpturen des X.–XIII. Jahrhunderts, vol. 2, Reliefs (Berlin: Bruno Cassirer, 1934), 38, no. 43, pl. 19. which is almost identically the same as the one at Dresden of which I spoke. There’s a third in the big mus. at ViennaAndrew and Peter, ivory, Kunsthistorisches Museum, Vienna, no. 26736. See Adolph Goldschmidt and Kurt Weitzmann, Die byzantinischen Elfenbeinskulpturen des X.–XIII. Jahrhunderts, vol. 2, Reliefs (Berlin: Bruno Cassirer, 1934), 38–39, no. 44, pl. 19.—& that’s the lot. No others known. See Go-go.Tyler’s nickname for Adolphe Goldschmidt (1863–1944), a Jewish German art historian. Tyler is referring to Adolph Goldschmidt and Kurt Weitzmann, Die byzantinischen Elfenbeinskulpturen des X.–XIII. Jahrhunderts, vol. 2, Reliefs (Berlin: Bruno Cassirer, 1934). I’ll spare you further news today. Of course it’s the Dresden 2 saints panel that is perhaps available—I send the Venice one simply because I can’t for the moment get at a photo of the Dresden one—& they are so alike that the Venice one should suffice to tell you what the other is like.